Sighs of relief rippled across the North American car industry Monday. There would be no "Carmageddon" caused by auto tariffs torpedoing cross-border trade, now that NAFTA 2.0 found a safe landing zone. But once more protectionist rules set in, the auto sector might lose more than it gains. Sighs of relief rippled across the North American car industry on Monday. There would be no "Carmageddon" caused by auto tariffs torpedoing cross-border trade, now that NAFTA 2.0 had found a safe landing zone. 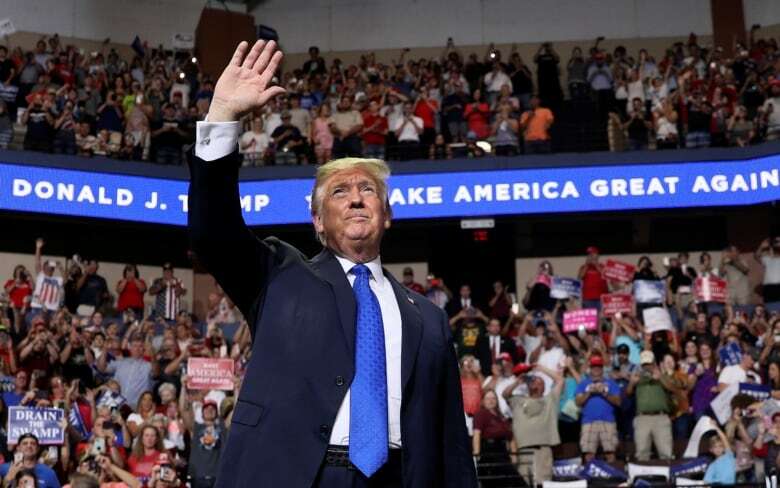 U.S. President Donald Trump had threatened to apply tariffs of up to 25 per cent on any vehicle or automotive part entering America. With the successful conclusion of the United States–Mexico–Canada Agreement (USMCA), the Canadian and Mexican automotive industries are no longer facing the threat of such crippling disruptions. But make no mistake: the continental auto trade will be less free than ever. To continue to avoid tariffs in North America, 75 per cent of a vehicle's parts have to originate in North America — up from 62.5 per cent under the old NAFTA rules. New labour rules mean that 40 per cent of its content must come from plants paying workers at least $16 per hour. And at least 70 per cent of the steel and aluminum must originate on the continent. "Higher content is more protection. Protection ultimately leads to less efficiency," said Canadian automotive consultant Dennis DesRosiers. "The paperwork is going to be onerous. "The price of vehicles ultimately will have to reflect that. And when you increase prices a little bit, the market shrinks. You might have a million fewer vehicles being bought." As that reality sets in, it's possible the car business may end up gaining less than it's giving up. "There's benefit to a higher content, but the inefficiencies related to it probably offset any benefit," DesRosiers said. "In many respects, it's a wash."
Union leaders cheered when Mexico agreed to requirements for higher wages and stronger labour standards, weakening its competitive advantage. The USMCA may shrink its wage gap with Canadian or American plants. But workers are only secure when their industry prospers — and this deal doesn't necessarily help with that. Labour accounts for between five and eight per cent of a vehicle's cost, DesRosiers said. Because assembly plant jobs are the most visible and politically-sensitive cost, the need for efficiency in component costs can be overlooked. "Some of the industry types are over-the-top happy," but it's only because they've avoided their "nightmare scenario," DesRosiers said. "Nobody's really worked through yet all the potential implications." Carmaking is a global business. "From a pure economics point of view, the lower the content rules, the better," DesRosiers said. At the moment, some German, Japanese and Korean brands import key parts and still meet the existing NAFTA content requirements for their assembled vehicles. As regional content rules escalate under USMCA, it will be difficult for manufacturers to meet the higher thresholds without assembling more core components — powertrains, engines and transmissions — in North America. "That will likely result in some new investment [in North America]," DesRosiers said. "But will these investments be efficient?" Brett House, the deputy chief economist for Scotiabank, agrees that more foreign investment could be coming as a result of the new regional value content rules. Canadian vehicles assembled by the big three automakers — General Motors, Ford and Fiat Chrysler — already have over 80 per cent regional content on average, he said. 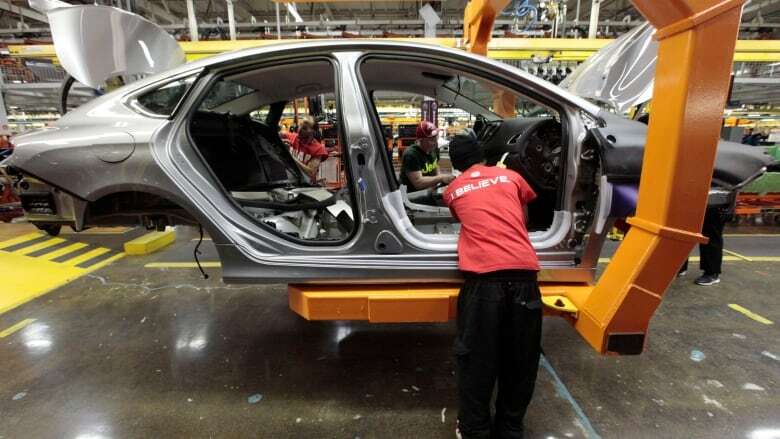 Factoring in Canada's Toyota and Honda plants, however, the overall figure for all cars made in Canada is around 71 per cent regional content. With new wage requirements making Mexico less attractive, southwestern Ontario might be in luck. However, "this is overall cost-increasing for the North American supply chain ... over the longer term, competitiveness-reducing," said House. Some production could exit North America — particularly smaller cars with tighter margins. Then there's how consumers may react if car prices rise to cover these higher costs. "People respond to price incentives," House said. Consumers may buy cheaper models, or drive cars they already own longer, shrinking market demand. Trump's threat of car tariffs served as negotiating leverage. But now this deal's in hand, it's also an enforcement tool. Any automaker considering moving production to a lower-cost jurisdiction to dodge the new rules now worries about getting hit with a 25 per cent tariff on every vehicle or part it wants to ship back into the massive American market. As a result, changes driven by the USMCA in North America could be limited to the margins. "There's not a lot that tips the apple cart over. 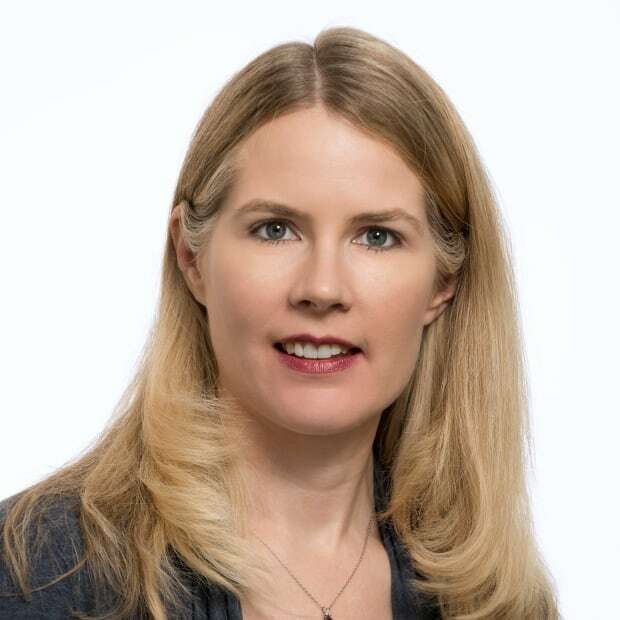 We don't have to restructure everything," said Kristin Dziczek of the Michigan-based Center for Automotive Research. Still, some parts of the regional supply chain aren't quite ready to meet the needs of the future. North America's higher-cost jurisdictions might need to start manufacturing batteries for electric cars or components for self-driving vehicles, for example. "I don't see anything in the agreement that lowers the cost of making vehicles in North America," Dziczek said. "There are provisions in this that say it has to be real production, not just, 'Take two parts and screw them together.'" 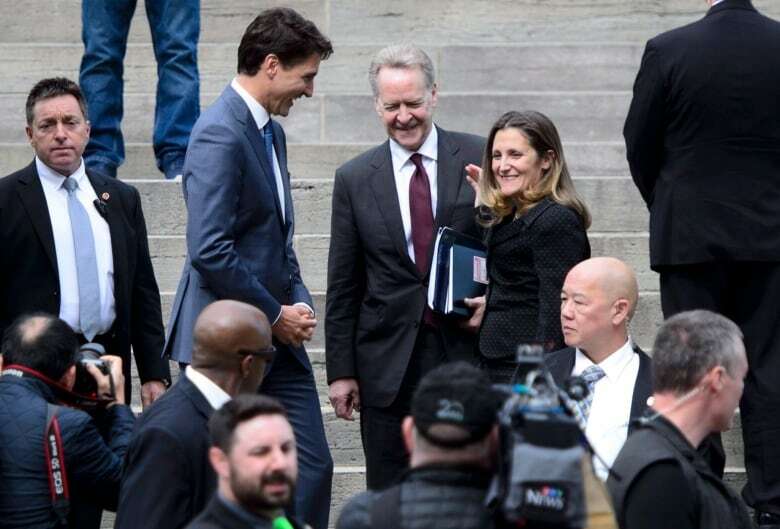 For the remaining 25 per cent of content that doesn't have to come from North America, there's now an even stronger incentive to move production of those parts to lower-cost countries to try to counterbalance the higher cost of producing the rest of the vehicle, she said. But thanks to the ongoing threat of Trump's car tariffs, that might be risky, Dziczek points out. Chinese components that used to be competitive have been slapped with steep American tariffs in Trump's ongoing trade war. "There is a very good strategic benefit negotiated by being inside the walls while the guns are firing outside," said Flavio Volpe, the president of Canada's Automotive Parts Manufacturers Association. "You don't have to agree with the illegal use of punitive tariffs, but you can agree that it's better not to be the ones who bear the costs while you fight that." Trump's next big trade negotiation, with the Japanese, might be key to lifting the steel and aluminum tariffs burdening Canada's industry at the moment, Volpe said. Both Japan and the U.S. desperately want to contain the Chinese, and the Trump administration may feel the steel tariffs are valuable leverage for pushing the Japanese to accept the new North American rules of origin. This new age of reactionary protectionism may turn out well for Canada's industry, he said. The USMCA "drives purchases all the way down the supply chain," including materials, Volpe said. "Anybody who wants to make a car tariff-free for a North American consumer must buy 20 to 30 per cent more from the North American supply chain than it did yesterday. "You're going to get more orders, and you've got the potential for more customers, because your customers now must meet a higher threshold, that only you can help them meet. It's a great deal for parts suppliers."